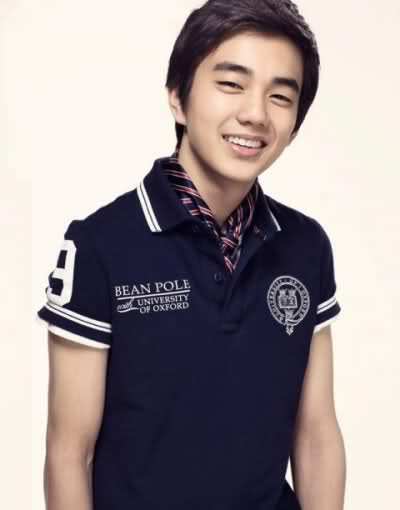 Made his debut in the 2000 MBC mini-drama "Fish Bones"
He appeared in Brown Eyes' "Don't Go, Don't Go" MV alongside Lee Se Na. 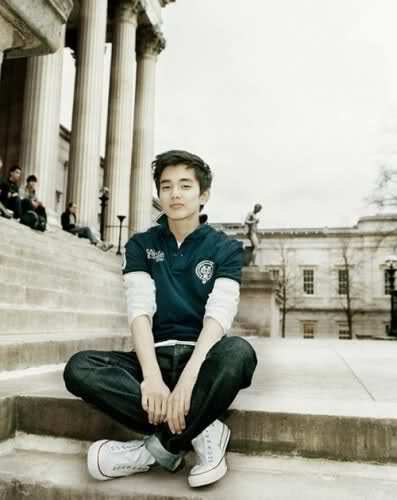 He also appeared in T-Ara's "Lies" MV. sto you're beautiful ti ekane? his appearance at brown eyes-dont go mv! yoo seung ho singing together with IU! For those of you who have no idea what a ‘kanji’ guy is, it’s basically a slang term used to describe a cool man who is charming, has great style, can pull off many things, and look like he’s generally worth a lot of money and attention. Yoo Seung Ho plays a dastardly handsome man for the drama, “Flames of Desire“, but flipped his image completely in order to look like an innocent college student for his new iRiver pictorial. In this new photoshoot, he acts like a sleepy student who is not able to stay concentrated on his studies. 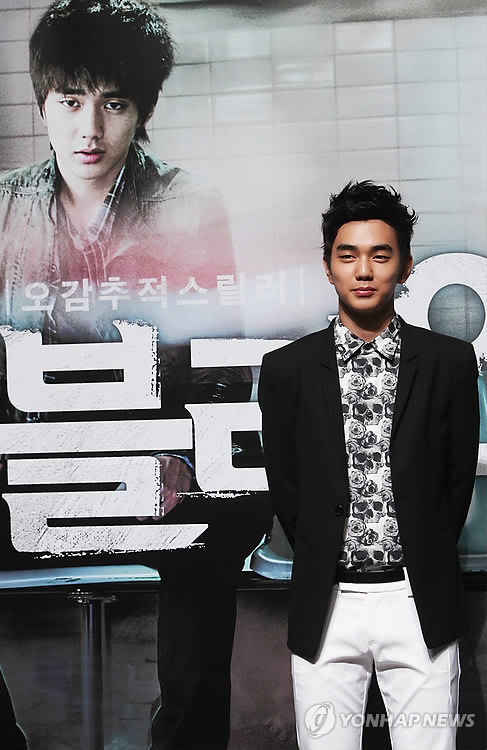 No matter what face he’s making, or where he’s put, Yoo Seung Ho has shown that he really does epitomize the ideal ‘kanji’ man. The latest episode of MBC “Flames of Ambition” offered a compelling storyline, propelling it to have the highest ratings in it’s time slot. 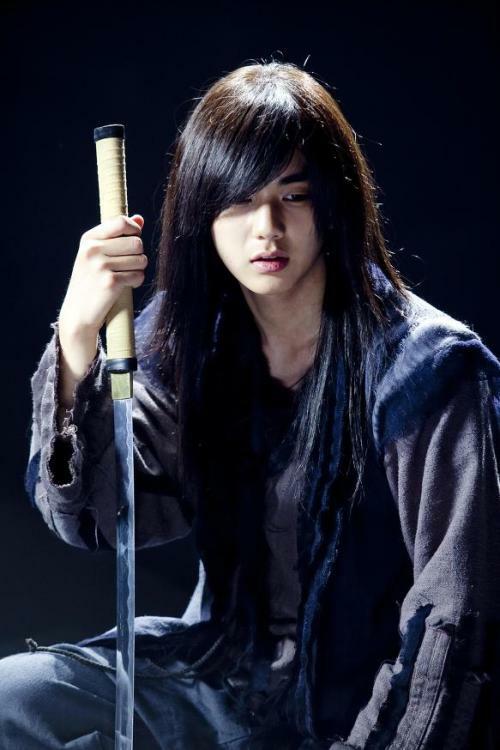 During the broadcast of MBC “Flames of Ambition”, Yoo Seung Ho’s character proposes to Seo Woo’s character. just 1 minute long but it was enough to make me have a huge nosebleed!!! 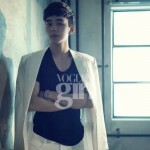 Yoo Seung Ho has returned with the appearance of a mature man for ‘Vogue Girl‘. The magazine recently had a photoshoot with the busy star who just wrapped up filming for the movie ‘Blind‘ with co-star Kim Ha Neul. His schedule is now booked with attending school and practicing martial arts for his upcoming drama, ‘Warrior Baek Dong Soo‘. 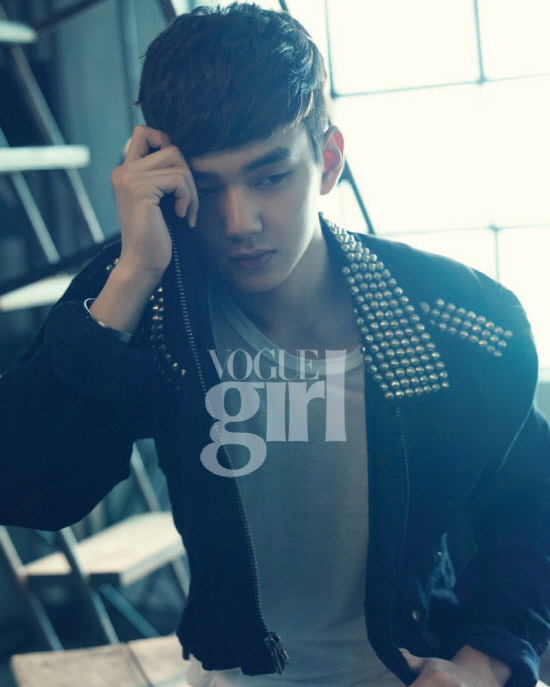 For the ‘Vogue Girl’ photoshoot with the concept of ‘early morning’, Yoo Seung Ho transformed into a lonely and mature man. 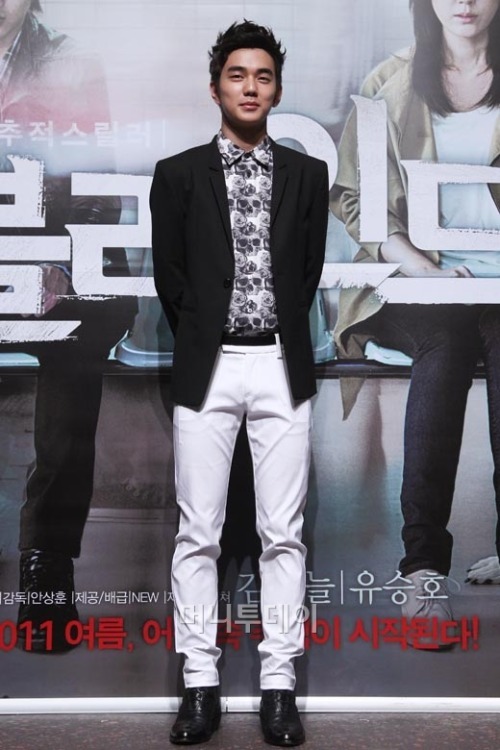 He reportedly surprised the filming staff by showcasing his healthy charms with his taller figure and matured looks. 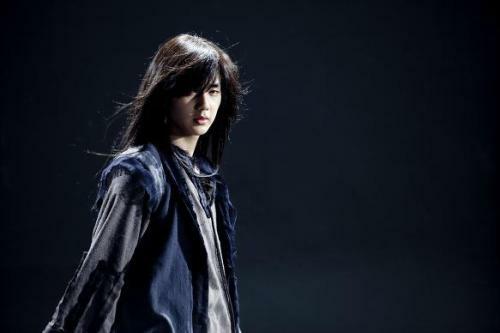 In the interview for the magazine, the rising star revealed his desire of wanting to play a completely different role. He also stated that he will play a villain for the first time in ‘Warrior Baek Dong Soo’ and considers it a part of his development as an actor. You can find the complete interview and photoshoot in the June edition of ‘Vogue Girl’. AFISTE ME NA TOU ORMI3W!!! THEE AMA DEN ITAN ACTOR THA EIMOUN FULL ERWTEUMENI MAZI TOU! 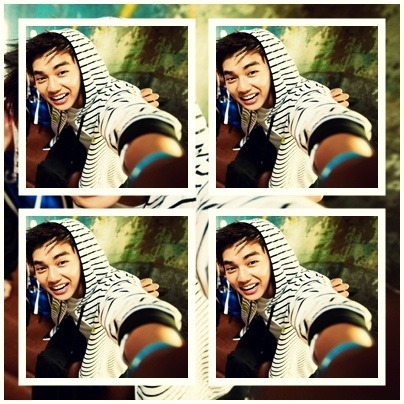 awww so cute cute cute!!! LoooL marh giati den empistevesai tous ithopoious? dld oti kai na kanoun pote den tha 3ereis ama einai real i oxi. dld polla einai fake ok alla nta3ei me tous actors einai allo to thema. kai sigekrimena me auton ton kirio edw exw thema. alloi kai alloi sta 25 tous kai to prwto tous fili den exoun dwsei kai autos 17 xronwn kai dinei filia apo dw kai apo kei sto xalaro. true though....les na nai k autos palyboy? fainetai apo makria! oso kai na prospathei na mas to pai3ei athwos to 3eroume oti den einai. gaaahhh gia auto ton erwteutika! afou tha ton exriza hubby ama den vriskotan o kyu ston dromo mou. afiste me na pethanw. twra. 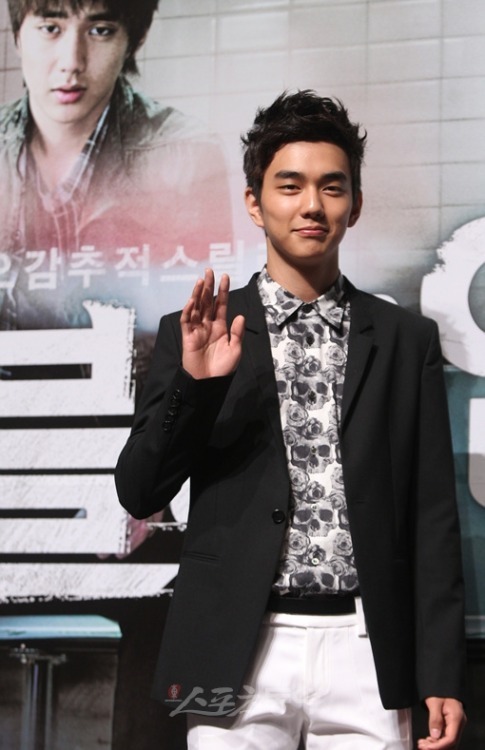 Actor Yoo Seungho was involved in a car accident today which severely damaged his car and left him with a fracture close to his eye when his car skid off the wet road. 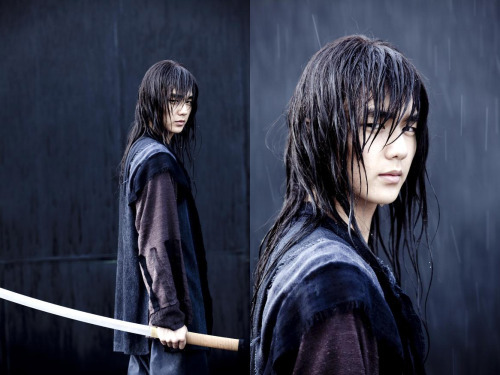 Around 1:30PM KST, Yoo Seungho was on his way to the SBS TV series Warrior Baek Dong Soo set when his car skid off the rain-water covered road. Due to this the actor obtained a fracture near his eye, and he was initially treated for minor injuries at a hospital in Andong before he went on to arrive at the drama set, but he was urged by the TV crew to go back for further treatment. Yoo is currently being treated in a hospital in Seoul. Let’s hope that Yoo’s injuries are nothing serious, and that all other celebrities also stay safe during this difficult time.